New York Giants general manager Dave Gettleman said it himself – you can’t just take any quarterback and hope they become your franchise passer. The option on the table has to be the perfect one – the players have to fit the mold of the offense and the future of the organization. The 2019 NFL draft doesn’t offer a ton of talent at the quarterback position, but there are two options that make the most sense for the Giants if they wish to go that route at No. 6. Both Ohio State’s Dwayne Haskins and Oklahoma’s Kyler Murray present bright futures with any team, but for the Giants, it comes down to the direction that wants to take their offense. Haskins is a pure pocket passer with a prototypical body at signal caller, while Murray is a mobile phenom but also has the arm talent to stand in the pocket and make every throw around the field. How does New York Giants head coach Pat Shurmur envision the offense? I’m inclined to believe that Shurmur wants to transform the offense into something we’ve never seen before. Imagine Lamar Jackson on the Baltimore Ravens multiplied by 10. Pairing Murray with Saquon Barkley and a crossing route mentality could be deadly, as it would allow Murray to throw outside of the pocket accurately in the intermediate range. Murray and Barkley alone would be quite the duo. Utilizing the read option and play-action with a QB as fast as the Heisman winner would be devastating for any offense. It would essentially be the exact opposite of Ben McAdoo’s predictable offense in 2017. 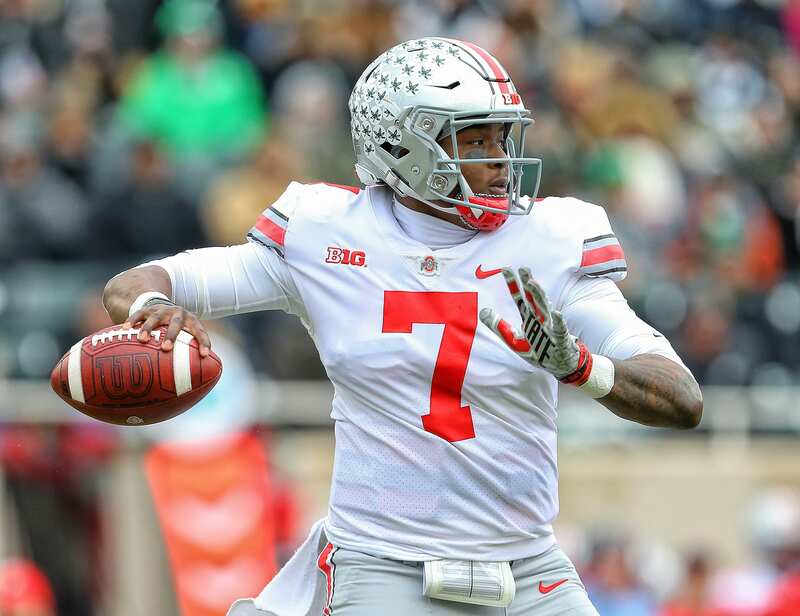 Rumblings of the Giants losing interest in Haskins have risen to the surface lately, but I don’t believe them to be true. Team representatives will be attending Haskins’ Pro Day on Wednesday afternoon. A trend I’ve noticed this free agency period in regard to player signings have been that they all grew up Giants fans and wanted to play for the club. An interesting observation that’s relevant to Haskins as he grew up in New Jersey as a Big Blue fan. With Haskins being mocked to the Giants repeatedly the past few weeks, ESPN’s Dianna Russini stated that Gettleman might pass on him. If the Ohio State star isn’t in the cards for Big Blue, that would imply that they either are very high on Murray or believe the defensive prospects in the draft are too talented to pass up.